Pickles just came out in version 4.1.1! My favorite! 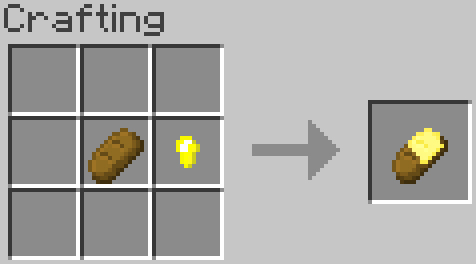 The new pickle item can be obtained by crafting 4 cucumbers with the potion of your choice. Brine already crafted pickles in other potions to combine potion effect! But be aware that combining pickle too many times weakens the additional effect added, so choose your combinations wisely! Watch this new video to see how it works! Source is now available above. If you find it useful, please give me credit! 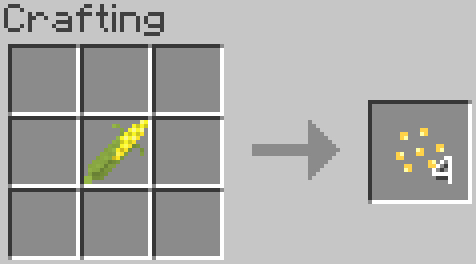 This mod adds a several unique crops to Minecraft. Corn, cucumbers, and rice! 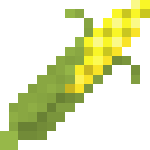 The two-block tall corn crop can be harvested for corn cobs, the cucumber vine for cucumbers, and the water-loving rice crop for rice. This mod is 1.12.2 singleplayer and multiplayer compatible. 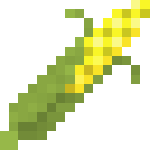 The corn crop is a two block tall crop grown by planting corn seeds on farmland. Harvests yield 1-2 corn cobs and 0-2 corn seeds. 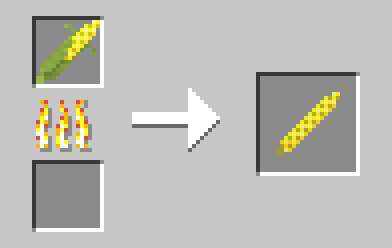 Corn cobs restore 2 hunger ( ) and can be crafted to give four corn seeds. They can also be cooked in the furnace to make cooked corn, which restore 5 hunger ( ). 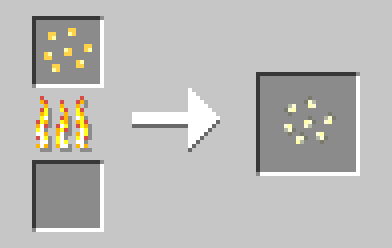 Corn seeds can be smelted to make popcorn, which restores 1 hunger ( ). The cucumber stem and vine are grown by planting cucumber seeds on farmland. 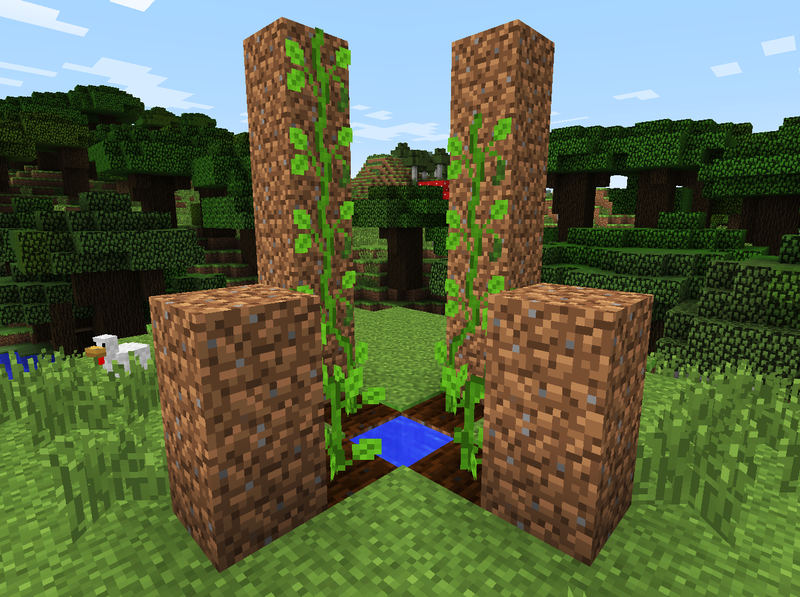 Make sure the stem is surrounded by blocks so that the vine can grow. 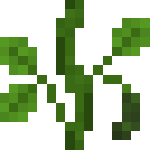 Vines grow up to 3 blocks above the stem, just like sugar cane. Harvesting fully grown vines yields 1 cucumber, which restore 4 hunger ( ). Cucumbers can be crafted to give 4 cucumber seeds. Here is an example of cucumber plant placement, introducing a totally new aspect to farming. Can you find the most efficient way to grow them? 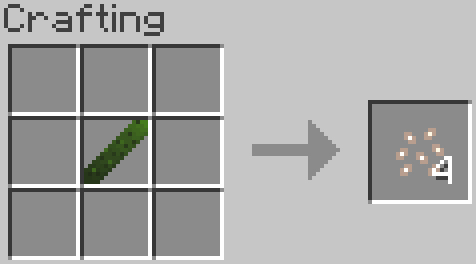 (Note: as of v4, cucumbers have been nerfed and only grow 3 blocks tall). The rice crop is a water crop grown by planting rice directly on top of water. Harvests yield 1-4 rice. Rice can be eaten to restore 2 hunger ( ). Pickle recipe coming soon. For now, see the video. Download is available in the top right. Warning: If updating from v3 to v4, backup your worlds.  Because the mod has changed so much, all of the blocks and items are different and must be reloaded! 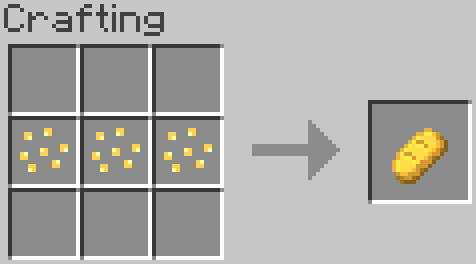 Do you think of updating this to 1.13 or 1.14? Yes, that's the plan. I've been super busy recently, but hopefully, I'll have more time to mod this summer. Thanks for asking and sorry for the slow reply! Do you plan to update your 1.12.2 version? Love the simplicity of this mod! I haven't been modding for a long time for school reasons. Recently I started updating my ore sheep mod, so I may get back into modding. If you have any suggestions for this mod, I'm all ears! If they're exciting enough, I might implement them! 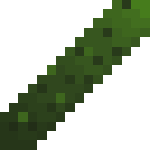 Was the cucumber vine bug fixed in the 1.12.2 version? But isn't v4.1.3 only for 1.12, not 1.12.2? Ah, I see the confusion now. I put 1.12 as the mod version when I meant 1.12.2. Just fixed it. Sorry about that and thanks for noticing! Interestingly, if you shear the cucumber vines, you get nothing at all. This works as intended. Unlike regular vines, cucumber vines must be attached to the stem base in order to live. Thanks for catching that though! Ah, yeah, that is a problem, I’ll have to fix that when I can. It’s been a while since I’ve worked on the mod. Thanks for the bug report! Thanks, I think I'll add it to my pack in the next mod update. These should make for fun times dungeoning. Credited in the CurseForge dependencies is fine as long as it's a Twitch pack right? Yes, that will be great! Thanks and let me know if you find any other bugs. I might also mention they can be overridden by a torch like tall grass can. Not sure if that's a bug or not. 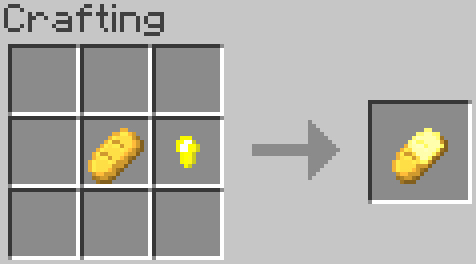 Would it be ok to include this in my modpack? Yes, please do! Just be sure to give me credit somewhere if you plan to release it. I will! thanks for your reply. Do the new pickles(great idea, by the way!) 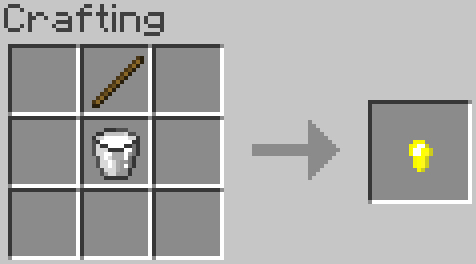 have compatibility with modded potion effects, such as Danger Sense from Quark? 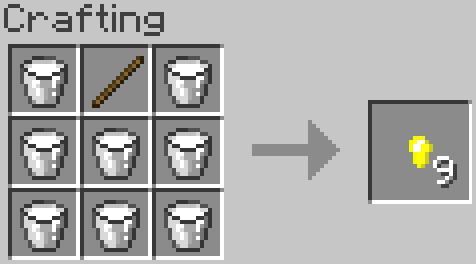 Would you consider adding support for modded potion effects?